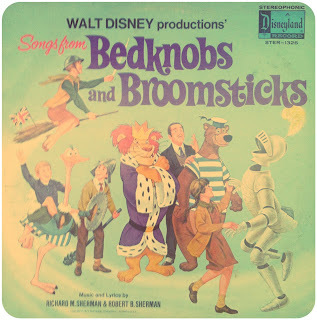 One of the great joys of being an uber Disney fan is obsessions waxing and waning. One day, I might be obsessing over Sonny Eclipse (like everyday...) the next I might be learning to play every Epcot Center Album song on my ukulele. Lets face it, we have a lot of stuff to cover. 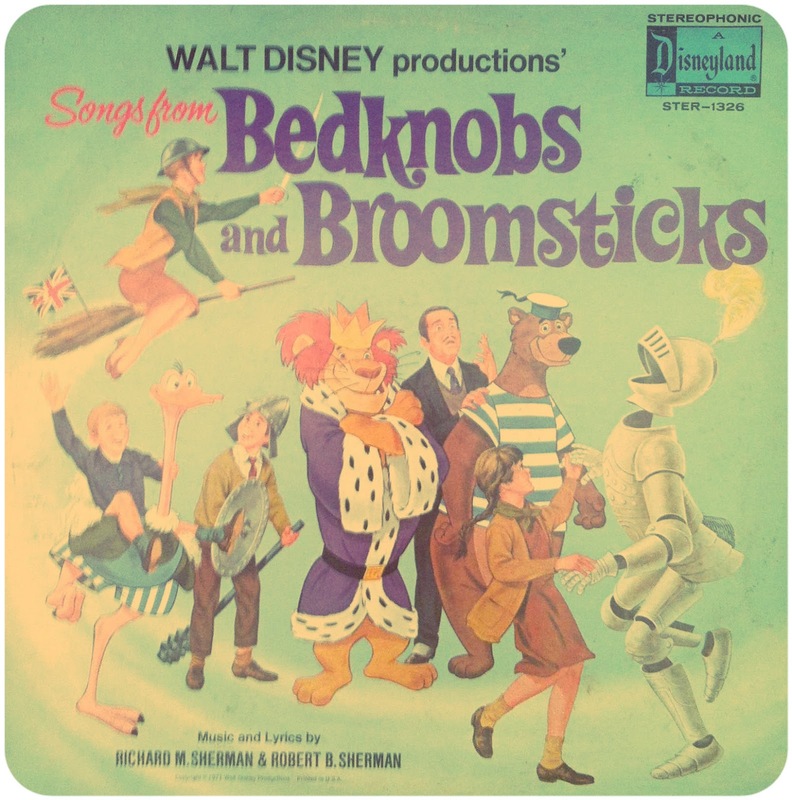 Though I've always been in love with Miss Price and the gang, recently I've been totally head over heals with Bedknobs and Broomsticks. Heck I want miss Price as my mother... Here is another feather to stick in your cap, the fun music album that accompanied the release of the film. Yay! 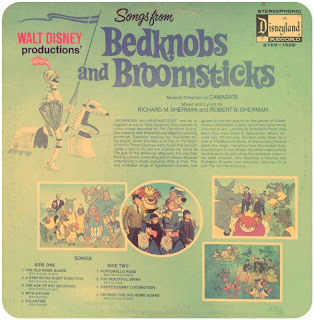 More awesome album artwork! Why don't I remember paul riding the ostrich? That would make, like, the greatest tattoo of all time. Seeing the "restored" version for the first time (I think on laserdisc!) was amazing; the theatrical version had cut out every single scene involving Price and Brown's growing relationship! I know they needed to trim the movie's running time, but that footage was really necessary for the story to completely come together. 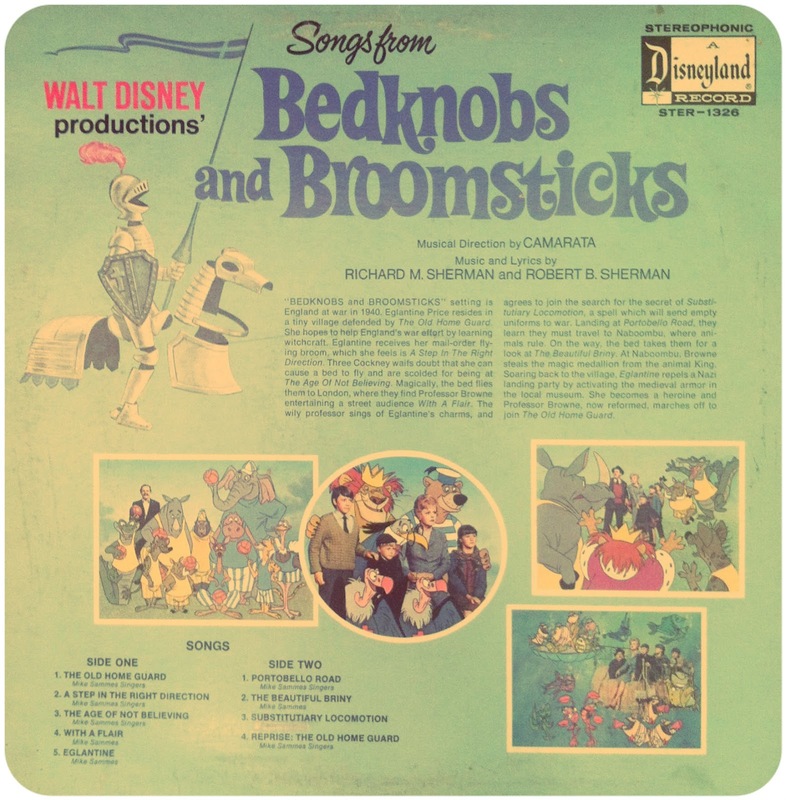 "With a Flair"...one of the Sherman Brothers' best seldom-played songs!